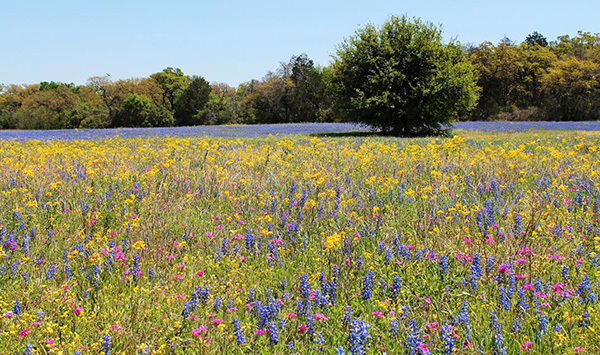 Allied Hydromulch has supplied, and installed countless miles of roadway wildflower seeding, park beautification projects, and site reclamation seeding with wildflowers throughout Texas. A few of our projects include Texas Toll Road 183 near Austin, The Villa De Matel in Houston, Sunset Farms Landfill in Austin, and the Gene Green County Park in Houston. Sunset Farms Landfill in Austin, Texas. 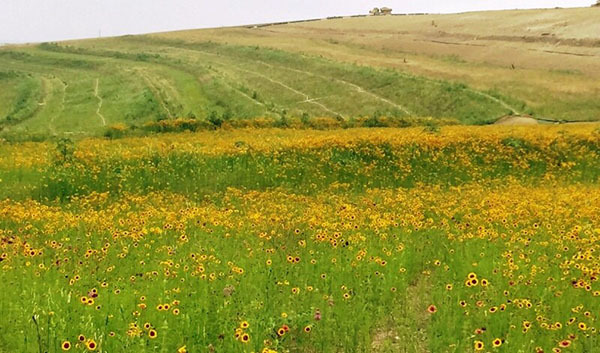 Seeded with Native Grasses and Texas Wildflowers in 2015. Native wildflowers along the road side HWY 71 in Austin, Texas.